Canty Farmhouse is located in a peaceful rural setting, beside a working farm. Tullamore town is located approx. 6 miles away, it is ideally situated in the heart of Ireland with excellent infrastructural links to all corners of the country. Tullamore town can provide visitors with plenty of traditional and modern pubs, restaurants, shopping facilities and historical landmarks to suit all tastes. This accommodation comprises of three comfortable bedrooms, two of which boast large en-suite bathrooms with wheel-chair friendly power showers. Other rooms include a bathroom (with bath and electric shower), separate WC, kitchen (including washing machine, dryer and dish-washer), living/dining room (with old-style turf burning stove, TV), lounge/sitting room (with TV and DVD player, fully operational open fire place). 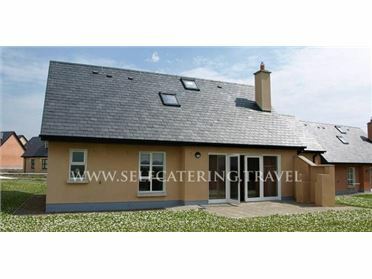 Amenities located close by include the Slieve Bloom mountains and walking areas, Clonmacnoise, Clara Boora Bog and guided tours, Sculptures in the parklands, angling areas, Tullamore and Rahan golf clubs, Charleville, /kinnity and Birr castles and Birr Observatory.